The headline in the January 5, 2019 edition of the Wall Street Journal reads “Six Feet, 48 Hours, 10 Days: How to Avoid the Flu.” This article, like nearly all main stream media flu articles was written to scare the reader into getting the flu vaccine. As with most mainstream medical articles about the flu, it is filled with fake news. The writer misstates the true numbers of Americans who die from the flu. 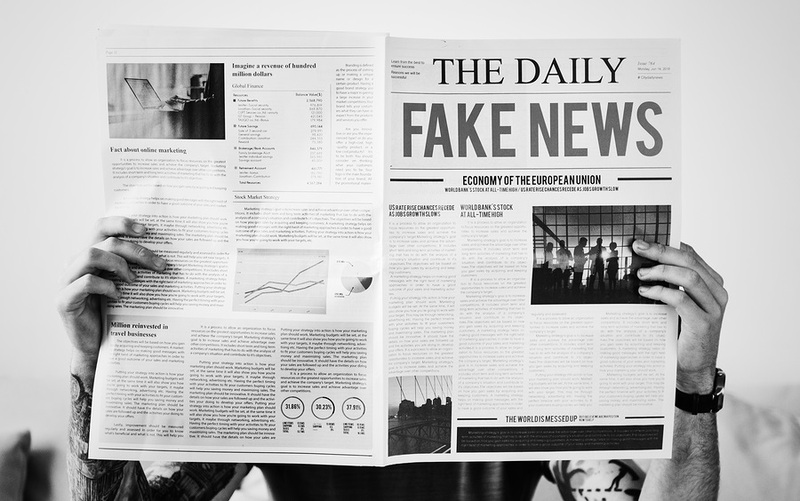 “In a mild year, influenza, a highly contagious viral infection of the respiratory system, kills as many as 12,000 people in the U.S., and in a bad year, it could be as many as 56,000.” I have two words to state here: FAKE NEWS! Folks, that is a blatant LIE. Over the last 38 years, neither twelve nor fifty-six thousand deaths from influenza infections occurred. In fact, the deaths from influenza are not even close to those numbers. Why would the mainstream media and the Powers-That-Be continually lie about the numbers of people that die from the flu? It is not hard to understand why—they want to scare the public in order to increase the number of people vaccinated with the flu vaccine. Just a comment regarding drug ads on television and all the disclaimers of possible side effects but an ad for a vaccine doesn't have any? That's what they hope you think. Apparently, the vaccine court/legislation that exempts vaccine producers from liability so the disclaimers, if there are any, aren't required. Considering this, you have to realize that those disclaimers aren't for your benefit at all. Those disclaimers legally protect them, not you. Obviously, if it was about your safety they would be compelled to let you know the risks without the legal requirements, and they don't. A rather simple effort of a ban on drug ads would be a huge first step in the right direction. I'd like to hear of some consideration for that, but they buy political support as easy as television advertising.There ought to be a political movement to ban drug ads; sign me up. About two or three years ago the mortality stats were separated out between influenza and pneumonia. The influenza numbers were miniscule. Now, the same charts have only the combined numbers. Is that called lying or is it a more serious attempt to retain a widespread injection program for nefarious reasons. Lying is the accepted normal, not the new normal but normal. One must be lead by the Spirit of God to overcome this world accepted habit. Today every salesman, saleswoman lies and if they have legal ease that covers no lawsuit can be started against them then they lie more. Only by the act of accepting Jesus Christ as your personal Lord and Savior, then living that life by the Spirit of God will anyone overcome the habit of what's called white lies. Deception, that's what it is and all deception comes from the devil, Satan is the author and finisher of deception and all who travel on that road are children of Satan. Personally I don't believe that there are ever any "Flu" deaths or anyone ever contracting the Flu. It's all lies to sell shots and drugs. These symptoms are all the result of poisoning from something, either food poisoning, poisoning from shots of some kind or coming in contact with some other form f poison. We have poisoned everything on this planet; the air, water, ground, food, etc. What do we expect when we have poisoned everything we depend on for survival? Data manipulation?... the CDC?... that's all they do!